Thank you for registering for the Bird Watching Cruise. We look forward to seeing you at the ATLANTIC Highlands Marina (NOT Highlands!) on April 27th at 8:15am PROMPT. Bird Watching Cruise: View local birds from the deck of the MARINER! Starting 0830 in Atlantic Highlands, we will view the resident and migrating birds of Sandy Hook Bay and Shrewsbury River. Optimum low tide will enhance the spotting opportunity. Monmouth County Audubon Society members will be aboard to help us in our quest. The trip should start with a look at the bayside flats at the tip of Sandy Hook, then its a run to the mouth of the picturesque Navesink River. Expect to see Brant, Cormorants, Osprey, Gulls, Terns, Vultures, Oyster Catchers, Ducks, Herons, Swallows, and so much more. Bring your binoculars and join the fun. It's a great way to start summer. Registration $40 per person including breakfast (coffee, juice, bagels, muffins, fruit). Mimosas and Bloody Marys from the onboard cash bar. 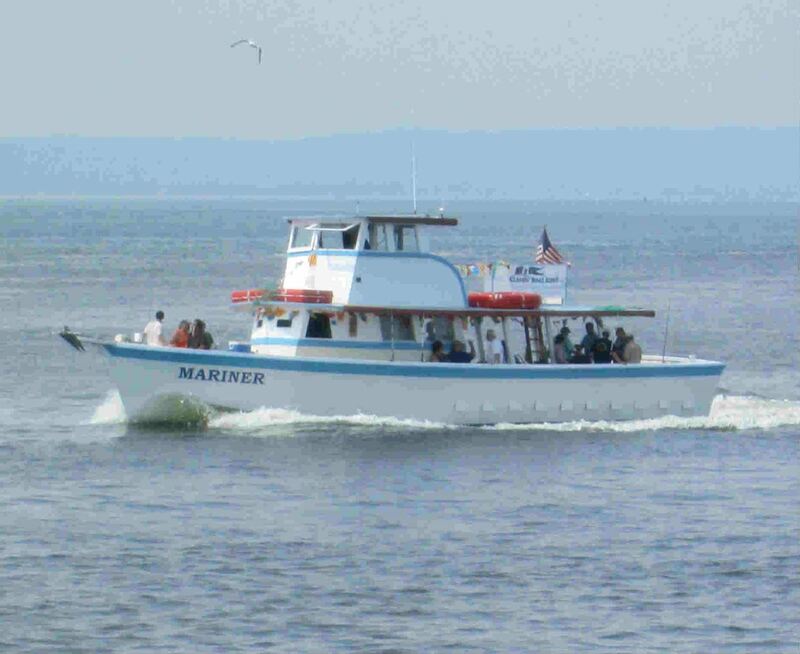 0830: Mariner Departs Atlantic Highlands Marina PROMPTLY! 1130: Return to Atlantic Highlands Marina. The Mariner will go where the birds are (water depth permitted), but will start at Atlantic Highlands. The birds, the Captain and the Audubon guide will further refine the program on the fly - no pun intended!